A business full of high potential talent, Momentum Instore recognised the importance of investing in leadership training to support their employees aspiring towards management. The programme was delivered through half-day training sessions and structured self-study; in which we took a detailed and ‘real-world’ look at; personal career development and planning, effective communication, listening, influencing others, managing a team, the role of a leader, problem solving, delegating and the fundamentals of employment law. The programme was designed carefully in partnership with Momentum Instore’s HR team, where our client introduced group project work to complement Vista’s training workshops. Two teams of delegates were tasked with finding new solutions to complex business challenges. We’re really proud to have made a significant impact on the ‘leaders of the future’, alongside influencing those complex business solutions that the delegates worked hard to implement. After a successful training programme in year one, we’re now thrilled to be delivering a second cohort of talent to the world of leadership and management! 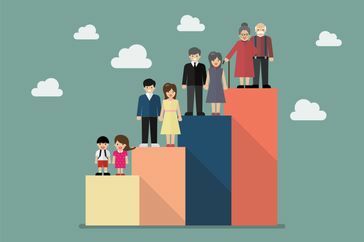 An Ageing Population: What can Learning and Development do to Manage the Impact?